Welcome to MindSwarms! Go to www.mindswarms.com and create an account. 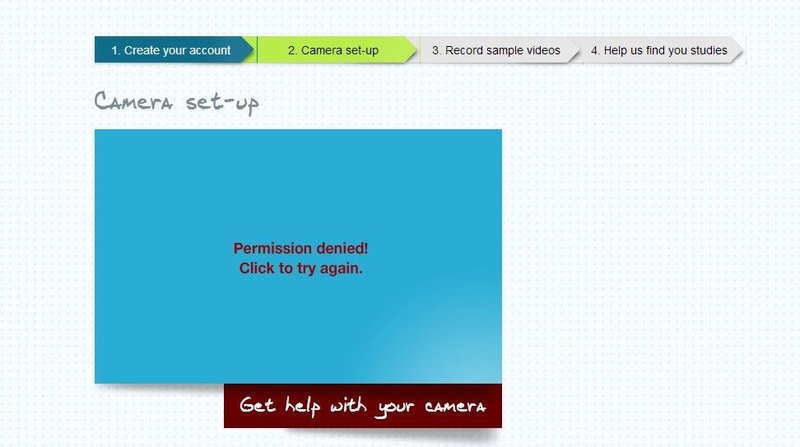 Next, we’ll set up your webcam so you can record your video responses. You may see a window that look like the one below on the right. Check “Allow”, "Remember" and then close. If you continue to have problems with your camera, click “Get help with your camera” and try the troubleshooting solutions. 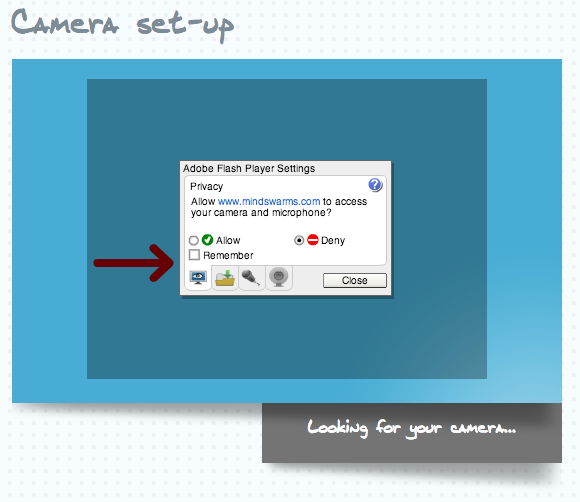 When your browser has identified your camera, the page will say “there you are!” and allow you to advance to Step 3. Watch the movie to learn how to record great responses, and click "Start the Study" to see the one question sample study. Think about your answer and then click the red “Record” button to begin recording your response. Try to make sure all your responses to MindSwarms studies are 45-60 seconds. Once you’ve finished recording, click “Finish." You're almost there! Click "Done" and then enter your date of birth, gender and zip code. 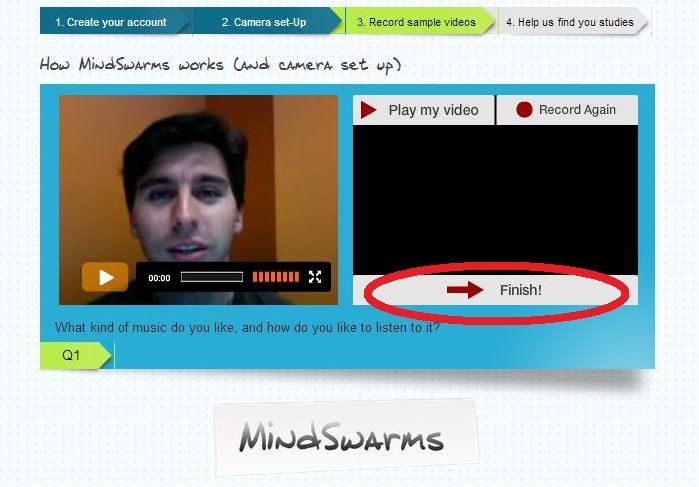 Click "Save and Finish" to start using MindSwarms!